An Ordinary Meeting of the Bega Valley Shire Council will be held at Council Chambers, Bega on Wednesday, 3 July 2013 commencing at 2.00 pm to consider and resolve on the matters set out in the attached Agenda. 2. Background for reports is provided by staff to the General Manager for his presentation to Council. Is the decision or conduct legal? Is it consistent with Government policy, Council’s objectives and Code of Conduct? What will the outcome be for you, your colleagues, the Council, anyone else? Does it raise a conflict of interest? Do you stand to gain personally at public expense? Can the decision be justified in terms of public interest? Would it withstand public scrutiny? Non-pecuniary – regulated by Codes of Conduct and policy. ICAC, Ombudsman, Department of Local Government (advice only). If declaring a Non-Pecuniary Conflict of Interest, Councillors can choose to either disclose and vote, disclose and not vote or leave the Chamber. Is it likely I could be influenced by personal interest in carrying out my public duty? Would a fair and reasonable person believe I could be so influenced? Conflict of interest is closely tied to the layperson’s definition of ‘corruption’ – using public office for private gain. Important to consider public perceptions of whether you have a conflict of interest. That the Minutes of the Ordinary Meeting held on 12 June 2013 and the Extraordinary Meeting held on 26 June 2013 as circulated, be taken as read and confirmed. In accordance with Council’s Code of Meeting Practice , this section of the agenda will be chaired by Councillor Seckold. In accordance with Council’s Code of Meeting Practice, this section of the agenda will be chaired by Councillor McBain. In accordance with Council’s Code of Meeting Practice, this section of the agenda will be chaired by Councillor Fitzpatrick. 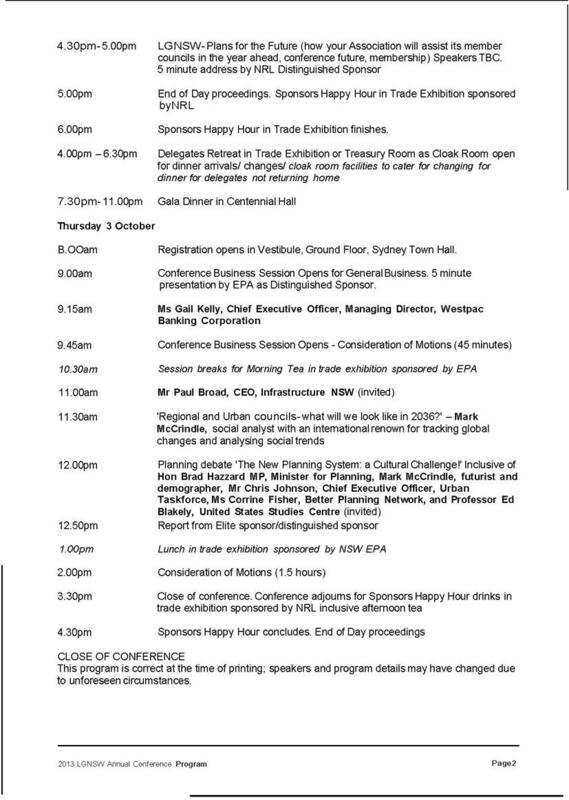 12.3 Local Government NSW Annual Conference 1-3 October 2013........ 84 . That all motions recorded in the Standing Committees, including votes for and against, be adopted in by the Ordinary Council meeting. In accordance with Council’s Code of Meeting Practice (2011), this section of the agenda will be chaired by Councillor Britten. Council endorsement is requested for in principle support of the Bundian Way project route. The Bundian Way is an ancient Aboriginal route between the Kosciuszko (Targangal) region and the Fisheries Beach (Bilgalera) area on the south western shores of Twofold Bay. The Bundian Way connects the high country and the coast and brought together Aboriginal people from across the region, most notably for ceremonies associated with whaling in springtime at Twofold Bay and moth hunting in the high country during summer. There are numerous historical accounts of early European settlers being shown the Bundian Way by the local Aboriginal people, as the most efficient way to get from the Monaro to the Twofold Bay area. In recognition of this rich Aboriginal and European cultural history, the Eden Local Aboriginal Land Council (LALC) proposes the route be a “shared history pathway”, recognised with heritage protection and used for educational and tourism purposes. 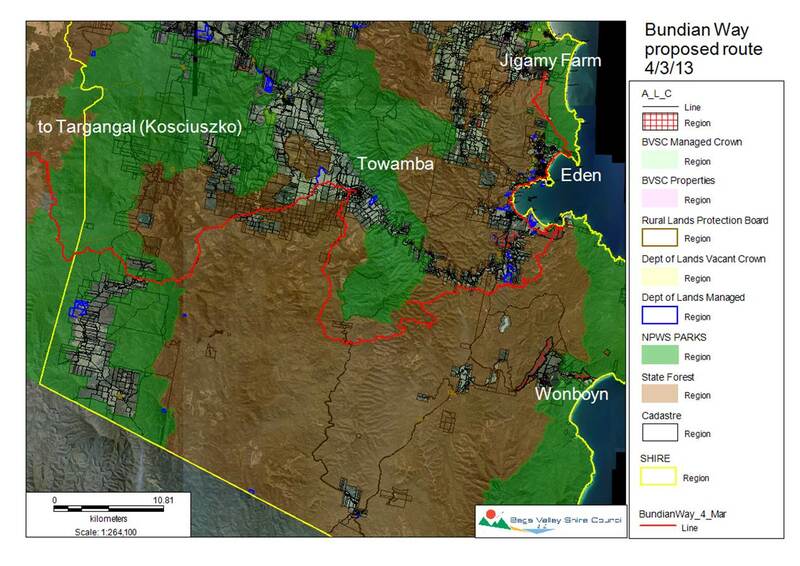 The Bundian Way project commenced many years ago but gained momentum in 2010 when the Eden LALC secured grant funding to survey the Bundian Way and identify its route and its aboriginal heritage. This matter was previously reported to Council in December 2012 when Council resolved to support the nomination of three locations along this route as aboriginal places as part of the Bundian Way project. The project is currently managed by the Bundian Way Management Advisory Committee which consists of representation of all relevant government and non-government stakeholders as well as intermittent engagement of related services providers as required. Council staff are involved with the Committee. The project is managed for the Eden LALC. The Bundian Way received State Heritage Council listing on 18 January 2013. Council has recently received a formal request from the Bundian Way Management Advisory Committee seeking Council endorsement of the Bundian Way route. A map of the route is attached. Council support of the Bundian Way route has been requested. The route largely covers lands in National Parks and State Forests, plus some Council owned and/or managed recreation reserves, some LALC owned land, and the remainder along minor roads in the Towamba, Boydtown and Eden areas. Support of the general route by Council will not result in any changes to land tenure or title. Details of the exact Council lands involved will become more defined as the project develops. The Bundian Way route is proposed to include some Council owned and/or managed recreation and road reserves. These public reserves are already available for community use. The Bundian Way received NSW State Heritage Council listing on 18 January 2013 in recognition of the important historic and cultural links between the local Aboriginal people and their ancestors. The Bundian Way route is being developed not only as a significant cultural route, but as a major tourism drawcard for the region. The local Federal Member and Eden LALC have been working to develop the route to a point to enable short and long walks from the coast to the summit. The walk is expected to feature in Sapphire Coast Tourism and Cruise Eden tour packages. Council endorsement of the Bundian Way proposed route will not have any financial implications. The Bundian Way project has included some staff time with the Management Committee and this will continue as the project and detailed route are further defined. The Bundian Way is a significant cultural heritage feature of national importance. It is listed by the NSW State Heritage Council. In principle support of the route by Council (and other relevant state agencies) will be an important step in the further development of the project and provide additional impetus and recognition to the Bundian Way. That Council endorses the proposed Bundian Way route and advises the Bundian Way Management and Advisory Committee of this support. In accordance with Council’s Code of Meeting Practice (2011), this section of the agenda will be chaired by Councillor Seckold. This report details the recommendation of the General Halls Committee relating to the allocation of funds for 2013/14 and seeks Council endorsement of the Committee recommendation. Council’s 2012/13 budget provided $74,000 of operating expenditure for projects at Council’s public halls. In 2012/13 projects receiving funding from the facility maintenance budget included new roofing, new ceilings, insulation, accessible entries, painting, restumping and minor repairs. There are several projects still requiring completion, however it is expected that these projects will be completed this financial year. There are 19 halls that are managed by community committees and volunteers, with the assistance and support of Council staff. The amount of funding recommended for each committee is determined through discussion at a General Halls s355 Committee meeting. All halls have a delegate to the general committee and they present bids for consideration. This process has been in place for some years and is well supported by the individual halls management committees. Funding allocation requests were received from ten of Council’s hall management committees. 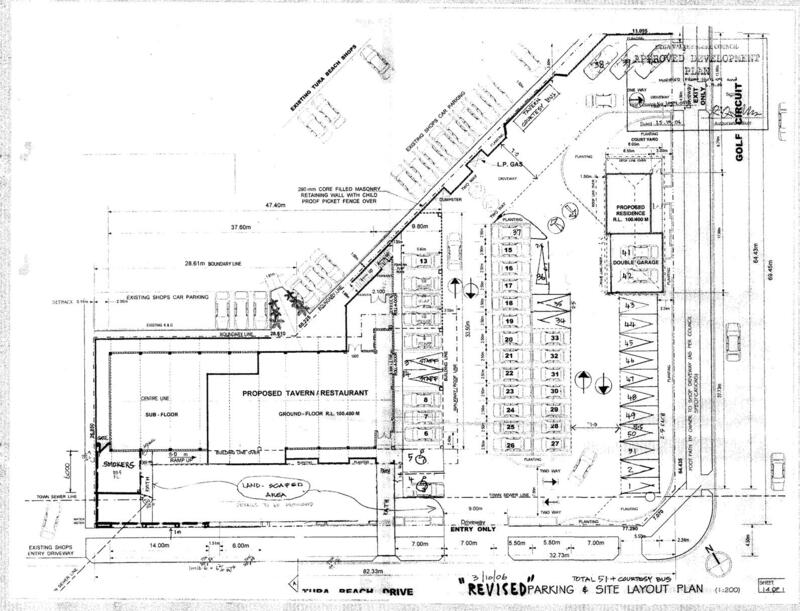 Works proposed were varied and include; roofing, painting, asbestos removal/repair, hot water service replacement, access for people with disabilities and general repairs. Discussion at this meeting included the reiteration by all participating hall committees that priority should be given to those projects which were of the highest order and that achievability and affordability of their projects was a key element of their applications. The Council’s halls are managed and operated by volunteer committees and coordinate maintenance and utilisation. The Council’s adopted Buildings Asset Management Plan is providing a framework to develop individual facility management plans (FMP) which will be finalised over the next 12 months with the hall committees. The General Halls s355 Committee is Council’s peak advisory body in relation to the management of these important community facilities. The General Halls Committee undertake a bi-annual tour of all halls so that the Committee members are aware of the state of various facilities and so that the decision making process was as informed as possible. This tour took place last year and most of its members participated. Once council staff received the nominated projects for 2013/14, a presentation was made to the Committee including photos of projects so that a recommendation could be made. The Committee has made recommendations on the expenditure for the 2013/14 draft budget and has requested that Council consider. The recommended allocation of funds amounts to $62,000 of the $74,000 provided in the draft 2013/14 budget. The recommendation is for the remaining $12,000 to be utilised for unforseen maintenance projects throughout the year for halls which have little reserve funds of their own to undertake projects outside of operational expenses. The General Halls Committee continues to be a good forum for participative decision making and resource allocation. The committee voted unanimously to put the below recommendations forward to Council for endorsement. Nominations have now closed for the Bega Valley Shire Council Youth Tertiary Scholarships. Six nominations were received. 2013 marks the fourth year that Bega Valley Shire Council has awarded the Youth Tertiary Scholarships. A resolution of Council in October 2009 outlined the framework for the scholarships and outlined the Shires commitment to assisting young people studying in the Bega Valley. The scholarships being offered are three $1,000 scholarships for university students; and four $500 scholarships for TAFE students, under the aged of 25 years, studying in the Bega Valley Shire local government area. The scholarships recognise the important and lasting social and economic contribution that increased education opportunities have in the Shire. The scholarships will raise the profile of successful young students and promote further education for young people in locally. Local papers promoted the Youth Tertiary Scholarships, letters calling for nominations were sent to all appropriate educational facilities, networks and organisations in the Shire. Several announcements were made on local radio over a period of three weeks. Nominations closed on 14th June 2013. The scholarships provide the Bega Valley Shire Council an opportunity to recognise, celebrate and support young people undertaking further education in the Shire by funding seven scholarships for tertiary students. The scholarship will raise the profile of educational opportunities for young people in the Shire and promote the achievements and the contribution young people in further education make to the broader community. The need to support and increase locally based education and employment opportunities for young people has been highlighted as a key strategy in both the Community Strategic Plan and in the recent Social Issues report. The Bega Valley Shire Council Youth Tertiary Scholarships is one way that Council can move to address this strategy. The 2013 budget included an allocation of $5000 of Scholarship funding and $750 to cover administration and advertising for the Youth Tertiary Scholarships. There are no staffing resource implications. The Community Development team manage the scholarship process as part of their annual work plan. There are no impacts on the operational plan. The Youth Tertiary Scholarships program has been well received by the community and education institutions in the Shire. The Scholarships are an important way for Council to recognise the importance of tertiary education in the Shire and celebrate local student’s accomplishments. In order to ensure the confidentiality of the nominees, the nominations are summarised in a separate confidential memo to Councillors. That Council award four $1000 University Scholarships. That Council award two $500 TAFE Scholarships. In accordance with Council’s Code of Meeting Practice (2011), this section of the agenda will be chaired by Councillor McBain. To endorse the exchange of lands and to accept the appointment of Council as reserve trust manager for the lands to be gazetted as Crown land. During negotiations in 2008 with Fabcot in relation to the Sapphire Marketplace commercial development, the then Lands Department identified that the Bega Town Hall and Council office was partly on Crown land. To enable the commercial redevelopment, and the commercial leasing of the town hall, it was recognised that the property was required to be in Council’s freehold title and not constrained by the Crown lands reserve trust. The Council owned land described as Lot 118 in DP752130 at Beauty Point, Wallaga Lake, was identified as a site capable of exchange with the Lands Department, for the Bega Town Hall Reserve. Valuations obtained then indicated there was a gap between the value of the Bega Town Hall Reserve and the Beauty Point land owned by Council. The Beauty Point site was valued at $1,150,000 and the Zingel Place site was valued at $1,380,000. An additional Council owned site described as Lot 44 in DP241802 at Beares Beach, Bermagui was then identified as a site suitable to compensate for the difference in valuations. In February 2010, Council resolved to endorse the valuations obtained and the offer of Council owned lands to the Lands Department for the purpose of the exchange of title. Council then reached in principle agreement with the Crown Lands Office for the exchange of the properties. Approval to the exchange of the Crown land at Reserve 83988 for Town Hall at Bega, for Council freehold lands described as Lot 118 DP752130 at Beauty Point, Wallaga Lake and Lot 44 DP241802 at Beares Beach, Bermagui, was granted on 27 May 2013, on the agreed understanding that the Crown land is of equal value to the two parcels of Council lands. That was made on the basis that Council has the consent of the Crown to acquire the land subject to the relevant provisions of the Land Acquisition (Just Terms Compensation) Act 1991. Subsequently, Lands has consented to the declaration of the Beauty Point and Beares Beach sites to be Crown land pursuant to section 138(1) of the Crown Lands Act, 1989, subject to the Crown receiving the written consent of the Council. Council is therefore now required to provide the Crown Lands office with the relevant written consent. Council will then be able to proceed to acquire the Crown land at Zingel Place, and the Crown Lands office will gazette the Council lands as Crown land. The Crown Lands office has informed Council of the intention to reserve the Beares Beach site for the public purpose of public recreation and therefore, the Crown Lands office has sought Council’s acceptance of appointment as trustee of the crown reserve. The parties have agreed that the Crown land at Zingel Place is of equal value to the two parcels of Council freehold land at Beauty Point and Beares Beach. Written consent from Council for the Crown to declare the Council land as Crown land in accordance with section 138(1) of the Crown Lands Act is required in order to proceed with the acquisition and declaration processes. The Crown has requested Council advise whether it is prepared to accept being appointed as trustee to the Beares Beach land being gazetted as reserve for public recreation. 2. That Council proceed to formally acquire the Town Hall Reserve 83988 at Bega from the Crown under the provisions of the Land Acquisition (Just Terms Compensation)Act 1991. 3. That Council provide the Crown Lands office with its consent in writing to the Crown declaring the Council lands described as Lot 118 DP DP752130 at Beauty Point, Wallaga Lake and Lot 44 DP241802 at Beares Beach, Bermagui to be Crown land in accordance with section 138(1) of the Crown Lands Act. 3. That Council inform the Crown Lands office of its acceptance of its offer of Reserve Trust management. 4. That the Mayor and General Manager be authorised to execute the required documents. In accordance with Council’s Code of Meeting Practice (2011), this section of the agenda will be chaired by Councillor Fitzpatrick. This report summarises the design and estimate carried out for the Tathra Ring Road, as instructed by Council on 27 September 2011. In 2009, Council engaged Worley Parsons to assess the feasibility of reconstructing the Tathra Ring Road, which had been destroyed by high seas prior to 1970. Much of the underlying formation has since been further eroded by natural erosion, high seas and storm wave action. In April 2010, Worley Parsons produced the report entitled, “Tathra Ring Road Reconstruction Wave Overtopping and Preliminary Options Investigation”. This report contains preliminary geotechnical assessment by ACT Geotechnical and a study of the storm wave action on the headland. Two possible options were presented for realising a new ring road and preliminary construction estimates. 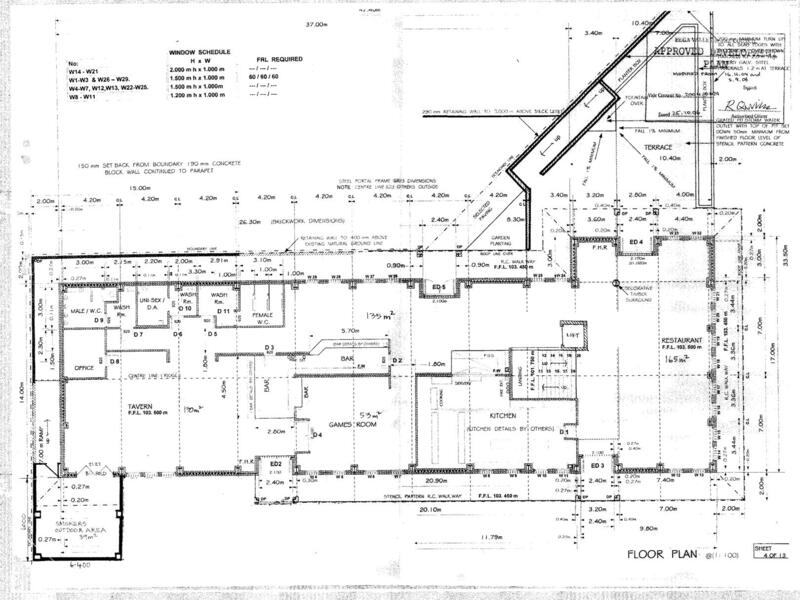 · design and document that best option so that a reliable estimate could be established. On the basis of the ‘best option’ design, Quantity Surveyors DCWC have developed an estimated cost for the works. The ‘best option’ design, drafted by Tasman Engineers draws on the previous works completed. After further geotechnical investigation by ACT GeoTechnical, a staged solution has developed that addresses a range of design and engineering issues in this exposed and highly eroded location. These include cliff stabilisation, stormwater drainage, constructability, construction access, wave deflection wall, overland flow channel and pedestrian access, while eliminating the need for a suspended bridge platform. The design incorporates a one way single lane solution, using a reinforced earth wall system for the elevated sections. The proposed Ring Road will come under the aegis of the Commonwealth Environment Protection and Biodiversity Conservation Act 1999, the NSW Environment Planning and Assessment Act 1979 as well as the LEP. Consequently, a formal Environmental Impact Statement (EIS) will be required. The proposal will have to comply with a range of stringent environmental conditions and is likely to require approval from the relevant Ministers at both Federal and State levels. It should be noted that the project will affect Aboriginal midden sites along the cliff top. For this and a number of other factors, obtaining the Federal and State Government approvals for this project may prove challenging. The Tathra and surrounding communities have been functioning without the Ring Road with little apparent impediment for over 40 years. Apart from enabling bus services to access the wharf and subsequent tourism benefits, there appears to be little other benefit from a new ring road. The distinguishing practical advantage of the Ring Road is that buses would be able to transport patrons to the door of the Wharf cafe, rather than at a short distance away, albeit along relatively steep paved road. For the significant expenditure, the actual financial return to the cafe, Tathra businesses and the community cannot be determined. The economic benefit is therefore considered to be small. Funds have been brought forward from previous years for the feasibility and cost estimate studies. No funds are allocated for further necessary environmental, heritage, cultural studies and other documentation required. As anticipated by the Council resolution on 27 September 2011, further funds for this project are to be sourced by Council or the community, from State and/or Federal Governments. However it is understood the federal and state local members have facilitated financial contributions from both their governments towards the project, requiring and equal contribution from Council. Those funds are not contained in the LTFP. · Any costs involved in dealing with affected Aboriginal Sites. The Tathra Ring Road works will cost approximately $1,579 million, with a further $0.4 million provisional and contingency costs likely. The project will require an EIS and may well encounter delays or impediments to obtain State and Federal Government approvals. Council should confirm the offers of federal and state government funding from the local members. 1. That Council note the report of the Tathra Ring Road design and estimate. 2. That Council determine the future of the Tathra Ring Road project. This report outlines the process undertaken to investigate and recommend a preferred effluent management strategy for Merimbula STP, with particular focus on improving the main problem of effluent disposal. Sewage effluent is a product available to provide further benefits. The existing effluent reuse schemes for Merimbula Sewage Treatment Plant (STP), the Pambula Merimbula Golf Course and Oaklands Farm, will enable a significant proportion of effluent to be reused from year to year from the STP. Future expansion of effluent reuse opportunities are also possible, particularly with climate change, new treatment technologies and a desire to reduce the impact on the natural environment. Notwithstanding, an effluent disposal option is required of all STPs by NSW EPA, as reuse is not always available due to weather conditions or peak holiday loads exceeds irrigation and storage capacity of the reuse sites. All large sewerage schemes require an appropriate effluent disposal system to deal with the volume of effluent unable to be reused. The Reclaimed Water Management Scheme (REMS) in the Shoalhaven for example, which links STP’s and effluent produced via a pipe and storage network for use on farms and open space areas, has an ocean outfall for effluent disposal. In 2011/12, 75% of effluent produced by the REMS scheme was disposed via this outfall due to above average rainfall limiting reuse potential for the year. As a proportion of all effluent produced in the Shoalhaven, 9% was reused in 2011/12 due to the above average rainfall and 91% was disposed to the environment. Unfortunately Merimbula STP does not have an appropriate effluent disposal system. The beach face ocean outfall no longer meets NSW environmental objectives and community expectations and the disposal of effluent to the dunal exfiltration ponds is limited by groundwater level impacts and long term sustainability issues. An alternative, more acceptable and sustainable disposal system is needed for effluent disposal from Merimbula STP. The Merimbula Sewage Treatment Plant (STP) produces approximately 700 megalitres (ML) of effluent per year to an advanced secondary standard. Each year approximately 75-85% is disposed via the dunal exfiltration ponds situated in the back-dunes of Merimbula Bay or the ocean outfall situated opposite the STP on the beach, with the remaining 15-25% used to irrigate the golf course of the Pambula-Merimbula Golf Club (PMGC) - the lower percentage during wet years and the higher percentage during dry years. In 2008 the Bega Valley Sewerage Program (2004-2008) constructed a pump-station and pipeline to Oaklands property on the Pambula River flats to provide effluent to a new agricultural irrigation reuse scheme approved in July 2006 under Part 5 of the Environmental Planning and Assessment Act 1979. The effluent storage on the Oaklands property was completed later by Council in 2012/13. The scheme commenced limited irrigation operations in February 2013. The PMGC and Oaklands reuse schemes have the potential to increase existing 2013 STP effluent reuse to approximately 25-50% per year, once the Oaklands scheme is fully established across the full 40 hectare irrigable area and providing the landholder continues to manage effluent reuse appropriately from year to year. Future 2030 reuse potential of the PMGC and Oaklands reuse schemes is estimated to be around 33% per average rainfall year, allowing for future population growth and an associated increase in effluent produced. This would leave approximately 67%, or around 600 ML per year, for disposal in an average rainfall year. The Bega Valley Sewerage Program (BVSP) also included the broader scope of developing an effluent management scheme for Merimbula STP inclusive of an improved effluent disposal system. The BVSP used an Options Evaluation Matrix to assess and compare scheme alternatives and select a preliminary preferred effluent management scheme. The preliminary preferred effluent management scheme selected by the BVSP was a shallow dunal exfiltration system for effluent disposal and the new effluent reuse scheme at Oaklands. Also part of the preferred scheme was the addition of chlorine dosing at the STP and retaining the existing PMGC reuse scheme. The ocean outfall options considered by the BVSP and not preferred, were extending the outfall 500 metres offshore or retaining the existing beach face outfall. The preliminary preferred effluent management scheme of the BVSP was discussed with government agencies and key local stakeholder groups at workshops in September 2004. The broader local community were also informed of the preliminary preferred scheme through the distribution of newsletters, local media advertising and two community information sessions in September 2004. The preferred effluent management scheme, inclusive of shallow dunal exfiltration disposal, was formally adopted by Council on 26 October 2004. Further investigations were undertaken thereafter on the preferred scheme as part of the EIA process. It was soon recognised by the BVSP that there were a number of issues associated with a shallow dunal exfiltration system that would take considerable time to resolve, particularly in relation to Aboriginal archaeological heritage. A proposal to reduce the length of a dunal exfiltration system from 400 metres to 100 metres (to minimise construction impact) and retain the existing ocean outfall for peak wet weather discharges, was presented and endorsed at a Council workshop in April 2006. However in June 2006 the NSW Environment Protection Authority (EPA) indicated that for a dunal exfiltration system to be approved, regardless of length, significant environmental investigations and justifications would be required in relation to impacts on Aboriginal cultural heritage, local groundwater and Merimbula Lake. In May 2007 the Project Leadership Group of the BVSP resolved to exclude the dunal exfiltration trench disposal system from the BVSP due to the difficulties encountered. The scope of the program was changed and only Oaklands transfer pump and pipeline and the STP upgrades proceeded with. In May 2008 the EPA issued a Pollution Reduction Program (U1 PRP6) in Council’s Environment Protection Licence for the Merimbula Sewerage System (EPL1741) in response to the BVSP excluding an improved effluent disposal system for Merimbula STP from the program. PRP6 required Council to fully consider all reasonable and feasible disposal options, as well as the range of beneficial reuse options, and undertake a sound and adequate assessment of the options and the impacts on environmental values, sustainability, Aboriginal cultural heritage and other issues. PRP6 also required Council to consult with stakeholders to nominate a preferred strategy for the disposal and beneficial use of effluent. In early 2009 Council called for tenders for the Merimbula Effluent Options Investigation (MEOI) project to satisfy the requirements of PRP6. In July 2009 AECOM Pty Ltd were awarded the tender from 11 tenders received. AECOM and Council have worked on the project since 2009. In March 2011 a stakeholder Focus Group was established by Council resolution. The role of the Focus Group was to consult, guide, review and discuss the available project information and to recommend a preferred effluent management strategy to Council. Representatives of the Focus Group included persons from the Merimbula Lake Shellfish Quality Assurance Program, Pambula Lake Shellfish Quality Assurance Program, NSW Environment Protection Authority, NSW Office of Water, Southern Rivers Catchment Management Authority, Bega Valley Shire Council (Councillors and staff) and community (2 representatives). The Focus Group has met four (4) times at workshops facilitated by AECOM. These studies have advanced knowledge around many of the issues relevant to the project. At the first Focus Group workshop in May 2011 a long-list of effluent disposal and reuse options was presented, discussed and shortlisted by the group using available information. The shortlisted options were developed further by AECOM into disposal system options, reuse scheme options and treatment plant upgrade options as outlined below. § Deep water ocean outfall with a submerged diffuser outlet at approximately 40 metres depth located approximately five (5) kilometres off-shore, beyond the limits of Merimbula Bay. This depth and distance off-shore was based on the AECOM 2010 study findings and contrasts starkly with the original 500 metre distance considered by the BVSP. § Shallow dunal exfiltration trench of approximately 400 metres in length in the highest and widest part of the dune system east of the airport terminal. This length and location was based on the IGGC 2013 study findings and is similar to the original BVSP planned length and location. § Deep alluvial aquifer injection wells into a deep confined alluvial sequence beneath the dune system. Information on the viability of this disposal system option was based on a report by Parsons Brinckerhoff 2004. This report suggested potential was likely to be limited to average dry-weather flows only and recommended further investigations involving drilling, long-term pump tests and modelling to determine capacity, issues and the number of wells needed to cater for peak discharge volumes. Sixteen (16) Fact Sheets were developed by AECOM and Council to summarise relevant project information for existing and future scheme options including descriptions, infrastructure requirements, potential effluent reuse volumes and disposal volumes, capital, operating and net present value costs, greenhouse gas emissions and key opportunities and constraints. The Fact Sheets, specialist reports and other information enabled AECOM and the Focus Group to develop a multi-criteria analysis (MCA) process to compare the disposal system, reuse scheme and treatment plant upgrade options. This was done in a series of Focus Group workshops in March, April and May 2013. The non-cost criteria used for the MCA process included public health, receiving water quality and aquatic ecology, aboriginal heritage, regional economy, aesthetic and recreational amenity, construction impact, operation and maintenance, reliability and greenhouse gas emissions. Each of the criteria was weighted and then scored by the Focus Group for the disposal system options in combination with each of the reuse scheme options. Costs were then included for consideration with the non-cost criteria and treatment plant upgrades. As a minimum, upgrade the sewage treatment plant to reduce phosphorus concentrations and improve disinfection. A Deep Water Ocean Outfall is the favoured effluent disposal option offering the greatest relative environmental and public health benefits. Council should pursue this disposal option and ways to fund a possible capital funding shortfall exceeding $10.0M over and above that allowed in Council’s current long-term financial plan for Merimbula/Pambula STP upgrades and effluent disposal (i.e. $11.5M over 4 years). Council should defer the expansion of effluent reuse beyond the existing schemes until an outfall is built using all available funds. The Focus Group also considers there is an opportunity to reduce the length of an ocean outfall, providing that the point of discharge occurs outside the limits of Merimbula Bay and still be subject to the influence of predominant ocean currents. A shorter length outfall may also require the provision of an increased level of treatment (eg. nitrogen reduction) which would be an additional cost to that shown right. If funding for a Deep Water Ocean Outfall is insufficient, Council should consider an effluent management strategy involving a Shallow Dunal Exfiltration system for disposal, additional treatment plant upgrades including nitrogen reduction and the expansion of effluent irrigation on the Pambula Merimbula Golf Club. Pambula urban open space areas should also be considered as a part of the strategy, if and when funding is available for effluent reuse expansion. Millingandi agricultural reuse areas should also be considered as a part of the strategy if and when funding is available for effluent reuse expansion to increase the volume of reuse and thereby decrease the volume to effluent disposal to a Shallow Dunal Exfiltration system. (Note: even though Wolumla was considered to offer higher relative benefits the NPV cost was considered to be excessive). No further consideration of strategies which incorporate Scheme 4 YPD Indirect Potable Reuse due to the excessive NPV cost and greenhouse gas emissions / costs. 1. Cost assumes minimum upgrades at the sewage treatment plant to reduce phosphorus concentrations and improve disinfection have been implemented prior. Pollution Reduction Program PRP6 Investigation of beneficial reuse and disposal of treated effluent from the Merimbula Sewage Treatment Plant is a condition of Licence 1741 for Merimbula Sewage Treatment Plant established under Section 58(5) Protection of the Environmental Operations Act, 1997. It arose because an improved effluent disposal system for Merimbula STP was excluded from the Bega Valley Sewerage Program in July 2007. The Merimbula Effluent Options Investigation project has satisfied many aspects of PRP6. However PRP6 also includes a requirement to develop a capital works plan, obtain approvals and commence design and construction in accordance with approvals. These licence requirements have yet to be met. All environmental planning instruments (EPI) will require consideration to determine if there are any that prohibit development of the adopted effluent management strategy. If no EPI prohibit development then the development will be assessed in terms of meeting State Significant Development (SSD) provisions under the State Environmental Planning Policy (State and Regional Development), 2011. If SSD provisions are met then the development will be assessed under Part 4 of the Environment Planning and Assessment Act, 1979 (EP&A Act) and Environment Planning and Assessment Regulation 2000 in accordance with requirements issued by the Director General of the NSW Department of Planning and Infrastructure. An Environmental Impact Statement (EIS) will be required and will be determined by the Minister or delegate. If no SSD provisions are met then Council as a public authority may be able to meet “development without consent” provisions under the State Environmental Planning Policy (Infrastructure), 2007 and the development assessed under Part 5 of the EP&A Act and Environment Planning and Assessment Regulation 2000. An EIS will be required because the development impact of an effluent disposal system will be deemed significant. All approvals for construction will be identified during the EIS process and will need to be obtained prior to construction. A deep water ocean outfall was the favoured effluent disposal option of the Focus Group, offering the greatest relative environmental benefit through improving receiving water quality and ecology and having the least construction impacts and operational greenhouse gas emissions. The deep water ocean outfall was also considered to provide the greatest preservation of Aboriginal cultural heritage, aesthetics and recreational amenity. AECOM (2010) undertook water quality modelling to provide an indication of the effects of effluent discharge on marine water quality from an ocean outfall at three discharge distances (1350, 2975 and 5225 metres) and depths (-20, -30 and -40 metres) offshore, as shown in Figure 1. The AECOM study adopted the Australian and New Zealand Environment and Conservation Council (ANZECC) Guidelines for Fresh and Marine Waters, 2000 marine water quality trigger values for south-east Australia and a target mixing zone radius of less than 100 metres. That is, the AECOM study considered impact in terms of whether the ANZECC guideline values for marine waters were exceeded beyond a mixing zone of approximately 100 metres. The constituents modelled were total suspended solids, total nitrogen, ammonia, nitrate, total phosphorous, phosphate and faecal coliforms, using conservative 90th percentile data values for the quality of effluent discharged. A total of fifteen (15) water quality scenarios were run in the model for a month of hydrodynamics (currents and tides) with a conservative continuous discharge release of effluent. The investigation showed that for an outfall at a depth of -40 metres the ANZECC guideline values for marine waters would not be exceeded beyond a mixing zone of 100 metres for all water quality constituents, except phosphate. Phosphate is a constituent that can be relatively easily reduced at the STP and an additional modelling run using a reduced value of 2.5 mg/L (original 13.0 mg/L) showed that the radius of exceedence would also be well below 100 metres. Importantly, at -40 metre discharge depth there would be no accumulation of effluent constituents within Merimbula Bay or adjacent estuaries because the effluent discharged would be subject to dispersal by open ocean currents, in addition to the dilution achieved within a 100 metre radius. As such the potential for algae aggregations in Merimbula Bay to utilise the nutrients in effluent discharged would be very low. On this basis a depth of around -40 metres was considered the preferable depth for an ocean outfall discharge. The alternative shallow dunal exfiltration diposal system option, whilst feasible, was considered by the Focus Group to have a number of risks associated with construction and ongoing operations and was not favoured on environmental or sustainability grounds. Groundwater modelling (IGGC 2013) suggested that the majority of effluent disposed in a system in the dunes east of the airport terminal would flow in groundwater towards the ocean (approximately 81%) and the remainder would flow westward with the natural groundwater flow towards Merimbula Lake. The amount of nitrogen decay and phosphorous adsorption within the dune system would be limited by the relative absence of clay and organic material in the predominantly sand landform. The proportion of effluent flowing to the ocean in groundwater would enter the ocean through the benthic environment close to the shoreline. This would provide an ongoing source of nutrients to the near coastal Merimbula Bay environment and a potential food source for the aggregations of algae in the bay. The proportion of effluent flowing to Merimbula Lake could potentially contribute an additional 6.7% of total nitrogen per year to the lake (AECOM 2013). This load of nitrogen would enter the system through the benthic environment along the eastern shoreline first and may result in increased growth of benthic microalgae and macroalgae such as filamentous brown alga (Elgin 2013), impacting negatively on ecosystem functioning in the area. The significance of the above potential impacts would depend on the ability of the lake hydrodynamics to flush concentrations of nutrients entering the water column out to the ocean. Existing literature suggests that Merimbula Lake on the whole has very good tidal flushing. However, the backwater area known as Golf Course Lake has a reduced capacity for flushing and longer water residence times and is potentially a more vulnerable area to increased nutrient concentration discharges from groundwater. Construction of an exfiltration trench within the central dune area would impact upon Dune Scrub vegetation dominated by Coast Banksia (Banksia integrifolia). Dune Scrub forms a buffer behind which the less salt and wind tolerant eucalypt forests can develop. Construction may also impact upon eucalypt forest dominated by Bangalay (Eucalyptus botryoides), depending on the exact location of the exfiltration trench and in particular, how far north it extends. This community is listed as the Endangered Ecological Community (EEC) Bangalay Sand Forest of the NSW Sydney Basin and South East Corner Bioregions, under the Threatened Species Conservation Act 1995. A deep water ocean outfall would consume significantly less energy and have less operation and maintenance issues than a shallow dunal exfiltration system. A shallow dunal exfiltration system would also have greater capacity limitations for peak wet weather flows and long term population growth. The deep water ocean outfall was considered by the Focus Group to be a more sustainable option. The construction of a deep water ocean outfall would involve a combination of trenching and horizontal directional drilling (HDD), commencing from a point east of the STP immediately behind the foredunes of the Pambula-Merimbula dunal system and exiting 1 km away at a depth of -20 m beyond the zone of wave influence, before adopting a dredge and lay construction methodology for up to a further 3.5 km offshore to a favoured depth of -40 m.
The potential for Aboriginal skeletal material and burial contexts to be present in the Merimbula Bay barrier landform is high. Aboriginal skeletal material has been found previously within the landform and is consistent with burial site locational patterning elsewhere along the south coast. The exact location of burial sites cannot be predicted and Aboriginal sites may exist within the areas identified as suitable for shallow dunal exfiltration. The construction of a deep ocean outfall would commence from a point immediately behind the foredunes of the Pambula-Merimbula dunal system. The potential for impact on Aboriginal skeletal material and burial contexts would be significantly less due to the depth of the HDD alignment. The Focus Group considered the deep ocean outfall to have greater relative benefits for the regional economy than a shallow dunal exfiltration system. This assessment was based primarily on the potential risks to Merimbula Lake aquaculture, fishing and lake based tourism from a shallow dunal exfiltration system. The potential for effluent contaminants in groundwater from a shallow dunal exfiltration system to impact negatively on the “Australian Oyster Coast” and “Bega Oysters” branding of pristine waters growing the finest and safest oysters in Australia, was highlighted by the Focus Group. The potential for effluent nutrients in groundwater discharging to Merimbula Bay and stimulating algae growth was also a reason that shallow dunal exfiltration scored lower by the Focus Group in terms of benefit to the regional economy. A deep water ocean outfall for Merimbula STP is considered consistent with Council’s vision statement of achieving the best balance between quality of life, sustainable development and conservation of the environment. It would deliver an asset outcome to overcome a long-term asset failing that has resulted in poor social, environmental and economic outcomes for the Merimbula-Pambula community. Resolving effluent disposal from Merimbula STP is a key strategic direction of Council’s Strategic Business Plan and 30-year capital works program for Sewerage Services. The BVSP (2004-2008) involved consultation with Council, stakeholders and the public on the preferred effluent management strategy of that program. The Merimbula Effluent Options Investigation (MEOI) project (2009-2013) involved the formation of a stakeholder Focus Groups to consult and guide the options investigations. All MEOI project reports, Fact sheets and MCA process results are available on Council’s website for community access. An Environmental Impact Assessment process for the adopted strategy will involve community consultation. A total of thirteen (13) submissions were received from the community in regards to the preliminary preferred effluent management scheme. The submissions raised a number of issues to be addressed within the Environment Impact Assessment (EIA). A deep water ocean outfall would be the most capital expensive effluent disposal system to construct, costing approximately three (3) times more than a shallow dunal exfiltration system. Conversely a deep water ocean outfall would be approximately ten (10) times less expensive to operate than a shallow dunal exfiltration system and produce less greenhouse gas emissions and potential future CO2-e costs. AECOM estimated the capital cost for the effluent management strategy recommended by the Focus Group at $25.1M. This amount includes $2.1 million for sewage treatment plant upgrades and $23.0 million for construction of the deep water ocean outfall infrastructure. Council has provided an amount of $11.5 million in its LTFP for years 2016-18 for Merimbula STP upgrades and effluent disposal in Council’s Development Servicing Plan – Sewerage Services (NSW Public Works, 2013). An additional amount of $7.7 million has been allowed for additional effluent reuse in years 2019-22. $11.5 million is insufficient to fund a deep water ocean outfall disposal system. State and/or Federal Government subsidy would be required to realise the recommended effluent disposal strategy in the near term. Lack of State and/or Federal Government subsidy would mean a less meritorious strategy involving shallow dunal exfiltration effluent disposal would be the potential fall-back option for Council to consider as per the Focus Group recommendations. This option whilst potentially affordable using existing Council budget allocations, has a number of environmental, Aboriginal heritage impact and sustainability risks associated with it as outlined in this report. These would need to be adequately resolved to obtain development approval. Council received further advice from the EPA in May 2013 of their ongoing concerns over this option and highlighted a range of justifications, investigations and planning required if it was to be pursued again, with no suggestion or otherwise that a shallow dunal exfiltration effluent disposal system would be approved following completion of this work. Environmental impact assessment, concept design, obtaining approvals and detailed design are the next project stages upon Council adoption of a preferred effluent management strategy. A Council client representative from Water and Sewerage Services will be required for this, with external project management assistance an option. Competitive tendering will be the most likely means to obtain the specialist engineering and scientific skills for delivery of these project stages. Estimated total cost for these project stages is around $500k. The provision of improved effluent management will enable Operational Plan objectives to be met. The appropriate disposal of effluent from Merimbula STP has been a long recognised and unresolved problem for the shire. This report outlines processes undertaken by the Bega Valley Sewerage Program (2004-2008) and the Merimbula Effluent Options Investigation project (2009-2013) to investigate and address the problem. The knowledge base of relevant environmental issues has vastly increased as a result of the detailed investigative planning work undertaken in recent times. Stakeholder consideration of the available information enabled a multi criteria assessment of options to be undertaken at a series of workshops in 2013 and resulted in a number of recommendations being made for Council’s consideration. The main recommendation was that a deep water ocean outfall is the favoured effluent disposal option, offering the greatest relative environmental and public health benefits to the community. It was recommended that Council should pursue the development of a deep water ocean outfall, along with STP upgrades to further improve effluent quality, as a long term solution to the Merimbula STP effluent disposal problem. Council does not have the means to fund the capital to construct the option recommended by the multi criteria assessment, being the ocean outfall. It is proposed the federal and state governments be lobbied to assist the project with subsidy funding. · construction of a deep water ocean outfall for the disposal of effluent unable to be used beneficially by the existing reuse schemes at the PMGC and Oaklands. 2. That Council pursue ways over the next 12 months to fund a capital funding shortfall for a deep water ocean outfall effluent disposal system with State and Federal Governments, including lobbying of candidates’ for the 2013 federal election. 3. That Should a commitment to subsidy funding by State and Federal Governments be not forthcoming, then Council proceed to constructing a dunal exfiltration system once relevant approvals are gained. This report recommends that Council adopt the advice of the Bega Valley Local Traffic Committee meeting held on 5 June 2013. The Bega Valley Local Traffic Committee held a meeting on 5 June 2013, the minutes of which have been distributed separately. It is a requirement that Council formally adopt the recommendations, prior to action being taken. The recommendations were supported unanimously by the Committee. 1. That, subject to conditions, Imlay Street and Albert Terrace, Eden be temporarily closed from the Mitchell Street intersection to the Eden Wharf precinct between 8.30am and 11.30am on Saturday, 2 November 2013 for the Eden Whale Festival truck display and street parade. 2. That the proposed traffic arrangements involving the temporary closure of Imlay Street and Albert Terrace, Eden for the Eden Whale Festival on Saturday, 2 November 2013, be deemed a Class 2 special event and it be conducted under an approved Traffic Control Plan, in accordance with the Roads and Maritime Services (RMS) Traffic Control Manual. 3. That persons involved in the preparation and implementation of the Traffic Control Plan must hold the appropriate RMS accreditation. 4. That organisers fully implement an approved Special Event Transport Management Plan. 5. That organisers have approved public liability insurance of at least $20 million, indemnifying Council, Police and Roads and Maritime Services by name for the event. 6. That organisers have written Police approval prior to conducting the event. This report has been prepared to recommend the preferred tenderer for Council’s Linemarking/Roadmarking program for 2013-2015. Tenders were invited for a Schedule of Rates Contract (RFT 23/13) for Linemarking/Roadmarking services in the Bega Valley Shire. The scope of work includes the maintenance of existing road markings and installation of linemarking on new work throughout the Bega Valley Shire for a two year period (excluding reseals). Final assessment was achieved by the panel, giving individual contractors a score out of ten for each criterion. The score was then multiplied by the weighting to give assessment points. Details are available to Councillors on confidential attachement. Council’s budget provision for 2013/2014 Linemarking/Roadmarking program is $100,000 and is sufficient to cover the tender. Forecast provision for 2014/2015 is for a similar amount. Council’s Works Staff will be responsible for supervision of the contract. This work is part of Council’s annual Operational Plan. The Linemarking/Roadmarking Program is part of Council’s Operational Plan. It is recommended that the Contract be awarded to the preferred tenderer. 1. That Council accept the tender from (insert) in relation to the schedule of rates contract for the provision of Linemarking/Roadmarking services as described RFT 23/13, in the indicative amount of $(insert) (excluding GST) for the financial years 2013/14 and 214/15. 2. That authority be delegated to the General Manager to execute all necessary documentation. 3. That all tenderers be advised of Council’s decision. This report details the outcome of the evaluation of Tender 24/13 for the Wanatta Lane Central Waste Facility weighbridge and recommends award to the preferred tenderer. Tender 24/13 involves the supply, installation, commissioning and through-life support of a weighbridge for the Wanatta Lane Central Waste Facility (CWF). The weighbridge specification was for concrete deck, semi-pit weighbridge, with minimum dimensions of 16.0m x 3.0m and minimum 50 tonne capacity. The tender includes provisional sums for additional items including, supporting software and hardware, traffic lights, CCTV load inspection, load inspection platform and bollards. The tender was publically advertised from 14 May 2013 in national and local newspapers and on the Council website and closed on 12 June 2013. · Newcastle Weighing Services Pty Ltd. 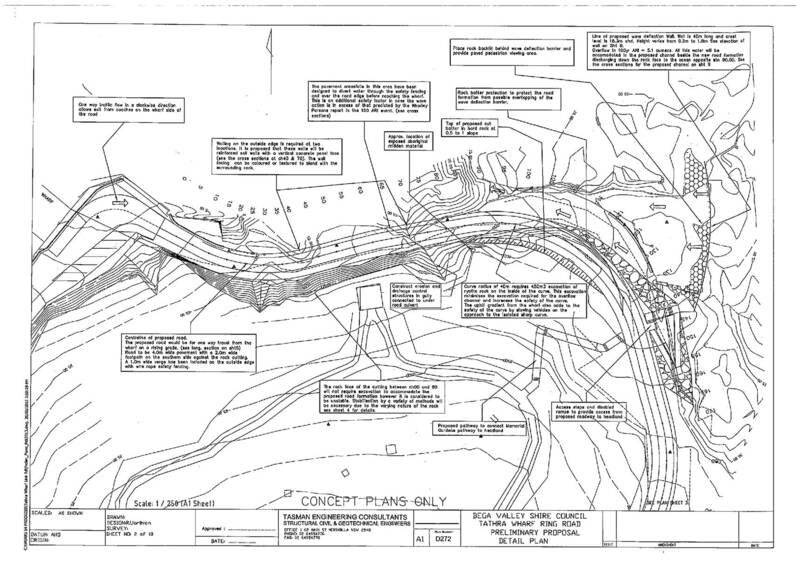 The Development Consent for the CWF Project was issued by the Joint Regional Planning Panel on 3 August 2011. 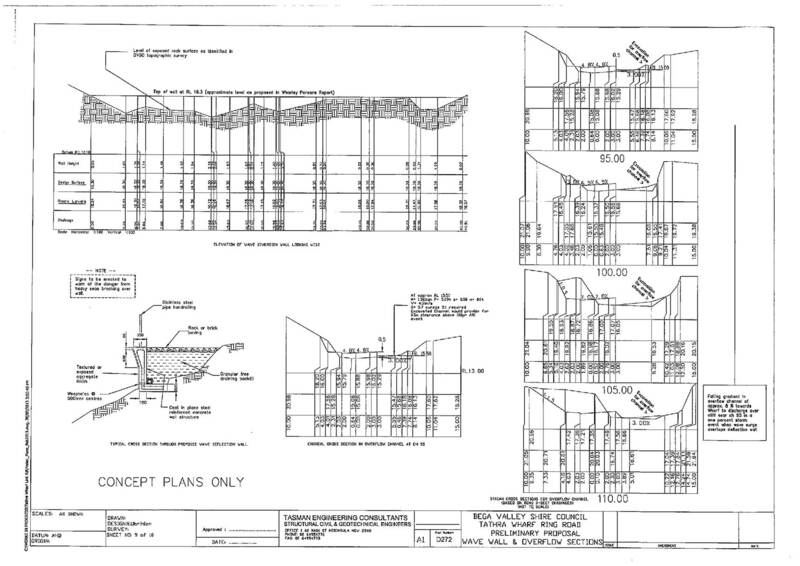 The Construction Certificate for the CWF was issued by Council’s Planning Section on 19 December 2012. The tender process complied with the Local Government Act 1993. A comprehensive Environmental Impact Statement for the CWF Project was completed in November 2009. The NSW Department of Environment, Climate Change and Water (DECCW) issued the General Terms of Approval for the CWF on 11 February 2010. The Environment Protection Authority (EPA) issued the Environment Protection Licence (Scheduled Development Works) for the CWF on 11 September 2012. The site for the CWF, Lot 3 DP 592206 at Wanatta Lane, is Council owned land. The CWF is a strategic project central to Council’s Waste Management Strategy, “2020 Vision on Waste”. The CWF preliminary project budget (2010/11) for Stage 1, i.e. construction up to and including Landfill Cell 1, is $3.864 million. The weighbridge constituted $191,000 of this budget. The preferred tenderer’s price, including the provisional sum options, is within this budget estimate. The CWF Project Engineer will manage the weighbridge contract works. The weighbridge is a fundamental requirement for the operation of the CWF and the tender should be awarded. 1. That Council accept the tender from (insert) in relation to the contract for the works described in Tender 24/13, in the amount of $(insert) (excluding GST), subject to variations and provisional sums. 3. That other tenderers be advised of Council’s decision. The NSW Rural Fire Service has requested Council exercise its two year option to renew the lease agreement for the occupation of privately owned land for the purpose of a State Mitigation Support Service at Bega. The RFS has occupied the site since 2011 and is seeking to continue the lease for a further two years. The current Service Level Agreement between Bega Valley Shire Council and the NSW Rural Fire Service stipulates that Council will provide to the Commissioner and the Service the administrative, accounting and maintenance services as specified in the agreement. The provision of land and buildings for the NSW Rural Fire Service is one of the requirements of Council, as is the administration and leasing of land for this purpose. Council has therefore traditionally been the Lessee on all lease agreements for the use of privately owned land, for the purpose of rural fire stations. Council is also responsible for insuring all buildings occupied by NSW Fire Service personnel. Council staff are required to prepare the agreements, based on advice received from the local branch of the NSW Rural Fire Service, with the Mayor and General Manager executing the necessary documents. Council has held a lease of the RFS State Mitigation Support Service, located at Lot 21 DP 785968, 233 Snowy Mountain Highway, Bega for the past two years and pay an annual rental of $25,000 (GST exclusive). This lease is due for renewal on 31 July 2013 and includes building, fixtures and some furnishings. The annual lease fees for the use of privately owned land are paid from the Rural Fire Service allocation. This is reimbursed by NSW Rural Fire Service, as are any legal costs associated with the preparation of the lease. The annual lease fee for the Snowy Mountain Highway site in Bega will be $25,000 per annum, with the provision for an annual increase by CPI. Staff resources are required to arrange preparation of the necessary lease documents and ensure payment of the annual lease fees. Management of the lease during its term will also involve staff resources. In keeping with the signed Service Level Agreement between Council and the NSW Rural Fire Service, Council is required to lease privately owned land on behalf of the RFS for the purpose of rural fire stations within the Shire. As such Council approval to renew the lease of the Snowy Mountain Highway site is sought. 1. 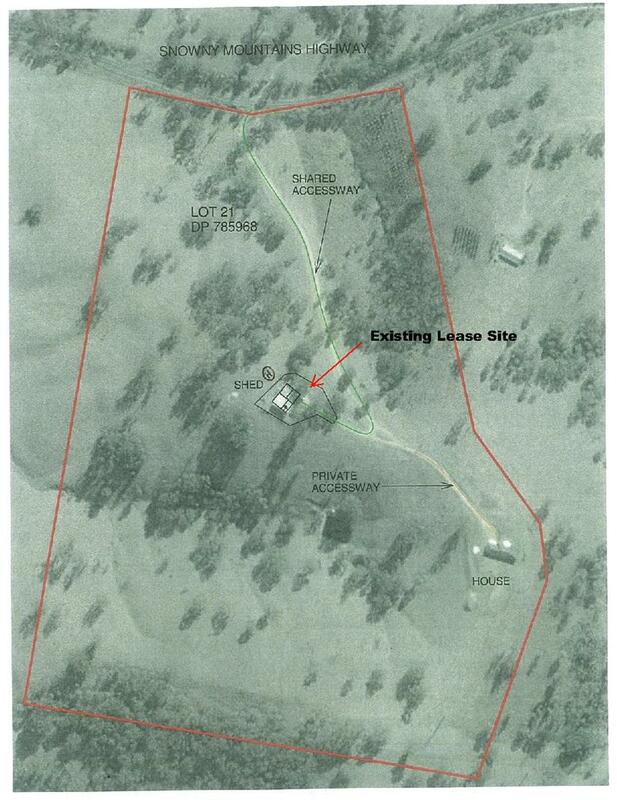 That Council exercise its option to renew the lease agreement for a further two years with the owners of Lot 21 DP 785968 at Snowy Mountain Highway, Bega for the use of building an section of that land for the purpose of the RFS State Mitigation Support Service. 2. That the Mayor and General Manager be authorised to execute the necessary documents. Council approval is sought for the creation of an easement for sewer rising main in Millingandi, to connect to the Stringybark Sewage Pump Station. In January 2006, the Department of Lands notified Council of the proposed road closure (under Section 35 Roads Act 1993) and the intention to sell Crown land (under section 34(3) Crown Lands Act 1989), of land comprising Crown public road, being 20.115 metres wide, within Lot 1 DP34906, off the Princes Highway at Millingandi. This proposal was in connection with a road closing application by private owners of the adjoining land. At that time, Water and Sewerage Services planned to construct a sewer line along that section of Crown road to service Acacia Ponds and Kalorama. 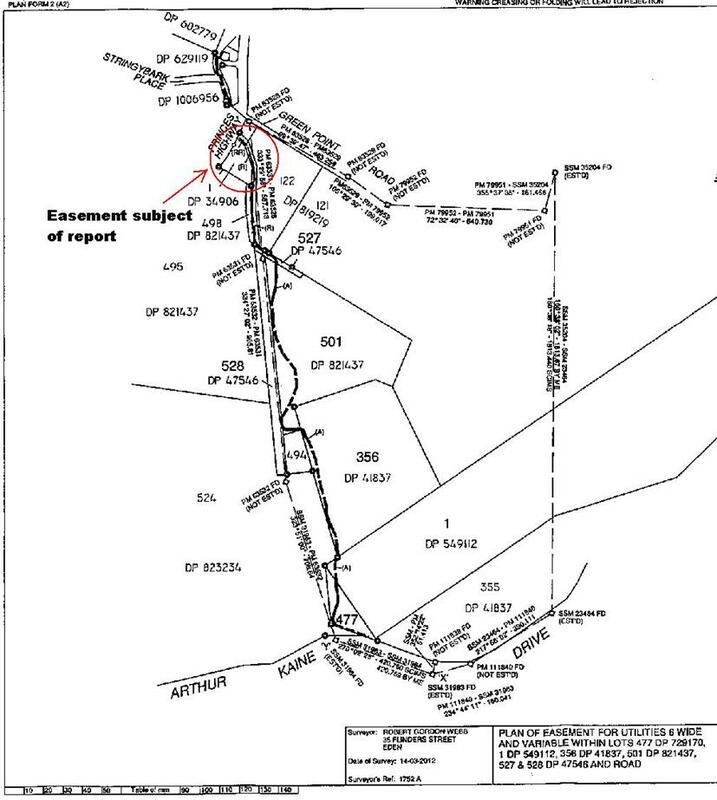 Accordingly, the road closure was opposed and it was requested that the road not be closed until the survey and easement acquisition process by Council was complete. 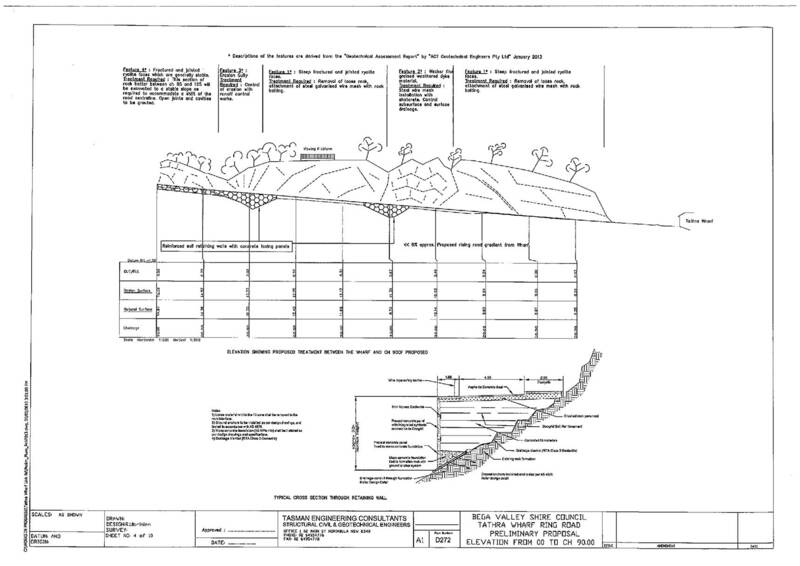 The construction works have since been completed and the full extent of the land required for the relevant easement for utilities has been determined (plan attached). The surveyor appointed by Council has completed the required survey and has prepared the plan of acquisition and appropriate Section 88B Instrument, to give effect to Council’s easement requirements. The Section 88B Instrument has been executed by the authorised delegate for Crown Lands. Following execution of the Section 88B Instrument by Council, the relevant plan and easements will be lodged for registration. The Lands Department will then be in a position to progress and finalise the original road closure and acquisition applications. Creation of the easement for utilities will enable the use, maintenance and upgrade to infrastructure and cater for future services that may be required to be installed. Council has been in consultation with the Crown as landowner and obtained its consent to the creation of the easement. The costs associated with the easement creation in connection with this project were allowed for in the 2011/12 approved capital works budget. Council resolution is required to authorise the creation of the easement. 1. That Council authorise the creation of the easement for rising main in Crown Road within Lot 1 DP 34906 Princes Highway, Millingandi. 2. That Council authorise its seal to be affixed to the necessary documents, as required and the documents to be signed by the Mayor and the General Manager. Reporting on the acquisition of Tura Beach Tavern site and proposing uses in line with Council’s intention to convert the building to community purposes. At its meeting on 12 June 2013, Council resolved to authorise the General Manager to take actions in accord with the resolution of Closed Session. That resolution and report is attached for councillors, to enable its declassification. As reported in media releases, Council purchased the Tura Beach Tavern site at auction for $1.2 million, for community purposes. The acquisition was well below valuation and understood to be less than mortgagee requirements. Settlement is expected around the end of July. The site is well located for community purposes being in proximity to retail shopping, neighbourhood shopping, recreational areas, and aged care accommodation, and accessible by car, bus and local pedestrian. The site has suitable parking and disabled access, as well as a lift. It is appropriate for Council to consider the actions required under contract subsequent to settlement, and the potential uses of the buildings. Councillors inspected the site on 26 June. The contract listed a number of inclusions (fixtures, fittings and chattels) sold with the property, and other chattels the subject of potential claim by third parties. In addition, the liquor and gaming licences require transfer and/or sale, with freight of associated equipment also likely. Those items will be pursued after settlement in accord with the terms of contract. Concurrently, Council may progress the reuse of items not required for the proposed use of the buildings, in its other community buildings, or sale by auction or tender to other parties. Development consent may be required for the change of use for the buildings and conversion to a function liquor licence. Council had listed in its LTFP the development of a new branch library in Merimbula next year, following the expiry of the current lease in Market Street. In the six months till that expiry, some cleaning and modification of the Tura site is expected to convert the building/s to their preferred use. · Ms Debbie Barratt has requested she be permitted to retrieve her belongings, toys and supplies from the child-minding facility located at the premises. As legal title to the property does not pass until completion of the contract, following settlement of the contract, Council must discern the third party interests listed in the contract which have a valid claim on the property and then listed in its public property register, otherwise the property remains the property of Council for its future use to be determined. Depending on the usage options councillors wish to explore, will influence the scale of any building or site modifications. The site meets NSW Library location criteria. It is expected grant funds will become available to assist fitout, though the fixtures acquired for the leased library space in Merimbula, will be reused. It is proposed to convert the liquor licence to a function licence for civic receptions or charity events for example. The conversion of the dwelling to an ‘incubator’ or other business use is supported as a low cost means of ‘sponsoring’ by low rentals, an ICT and digitally creative business/s with access to high speed broadband, or to sponsoring a medical centre providing bulk billed services for example. Those initiatives are consistent with the Business Growth Strategy, Digital Economy Strategy, and Social Plan. Council had placed $1.5m in 2014 budget, funded by loans, for the development of a branch library in Merimbula, with the potential to co-develop its Main Street or other CBD sites to incorporate the library and community meeting rooms. The property came with gaming licences valued around $300k. Offers are being sourced by Council’s agent for the sale of those licences. Current offers indicate that value should be obtained. Allowing for legal and building modification expenditure, the nett acquisition cost is likely to be around $1m, the debt for which is estimated to cost $120k pa in loan serving costs over 10 years. The current library lease of $65k and potential lease income of the dwelling for incubator/business purposes, will offset the debt servicing. This leaves a funded debt servicing in the Long Term Financial Plan of $120k pa, which could be used to draw further debt for future projects. Should Council determine to sell or develop the Main Street site, subsequent to consideration of the commercial precinct masterplans currently under preparation, may release funds for other community infrastructure, such as carparking or aggregating the CBD bypass project into a single year. The reuse of commercial kitchen and bar equipment and cabinetry at the Bega Civic Centre, will yield some savings to that development – the early availability of which allows the designers to incorporate their reuse into the Centre layout. Staff will be engaged in clean up and the project management of modifications to the building/s. Library staff will be involved in layout and relocation from the leased space. The acquisition of the Tura Tavern meets a number of strategic and financial objectives. The location also meets a number of community access objectives. While community consultation could not take place due to the timing and confidential nature of the auction process, Council may choose to seek community views on the proposed uses. 1. That the report on the acquisition of the Tura Tavern (Lot 158 / DP 1140729), and preferred uses (to be inserted at the meeting) of the property be noted. 2. That the General Manager be authorised to sell the gaming licence to the highest offer, and execute necessary documents. 3. That the General Manager be authorised to convert the liquor licence to a function licence and execute necessary documents. 4. That the General Manager be authorised to negotiate appropriate lease/s for the dwelling and execute necessary documents. 5. That where necessary, appropriate development approvals be obtained for the uses of the property adopted by Council. 6. That the relevant Closed Session report of 12 June 2013 be declassified. Seeking Council’s determination of projects to be funded under Community Infrastructure Grants Program. Applications for funding close on 22 July 2013. At the National Assembly of the Australian Council of Local Governments (ALGA), the Hon Anthony Albanese, Minister for Minister for Infrastructure and Transport, Minister for Regional Development and Local Government announced the fourth round of the Community Infrastructure Grants (CIG) Program of $150 million under the Regional Development Australia Fund. The CIG can fund projects that were identified by local communities in the former RLCIP process in 2009/11. The proposed projects are expected to provide important community and social infrastructure identified by local communities as priority investments for their regions. The projects to be funded can include the construction and upgrade of local sport, recreation and community infrastructure. Applications for RDAF Round Five open on 21 June 2013 and close at 5.00 pm local time on 22 July 2013. Applications must be submitted via the department's Grants Management System portal which will be accessible on 1 July 2013. The provision of funding is conditional on Council entering into contractual arrangements with the Commonwealth (represented by the Department of Regional Australia, Local Government, Arts and Sport). The Community Infrastructure Grants program will fund projects consistent with all relevant requirements of the Financial Management and Accountability (FMA) Regulations 1997, the Commonwealth Grant Guidelines 2009, the Australian National Audit Office (ANAO)Better Practice guide, and the recommendations from the ANAO Audit of the Better Regions program. The CIG program does not support projects that are already listed for construction or development in Council’s budget and works programs. Attached (attachment 1) is the list of projects unfunded under RLCIP Rounds 1-3, that were prepared following significant community, club and organisation engagement at the time. Since then, Council or the community has identified projects that have been unfunded or underfunded, such as those though the sports and recreation funding committee, the Tathra Ring Road or the Pambula Squash Courts. It is understood projects need to be developed on council or crown land under council care and control. Projects such as the SCMDC seawater filtration and building refurbishment project submitted under RDAF3 may be eligible as a consortium member with Council. Projects must be 'investment ready', i.e. the project must be completed no later than 31 December 2016. The project must also be ready to commence construction within 12 months of the execution of the Funding Agreement between the applicant and the Commonwealth. Projects must be maintained for a period of not less than five years following completion of the project. · Evidence of approvals—that approvals are in place, applied for, or otherwise expected to be received to allow the commencement of construction within 12 months of entering into a Funding Agreement with the Commonwealth. · Evidence of co-contributions—that the project will be fully funded through commitment of partnership contributions in cash or in-kind. · Evidence of planning—that the project will be delivered on time and to budget. This will be achieved through the provision of supporting documents. 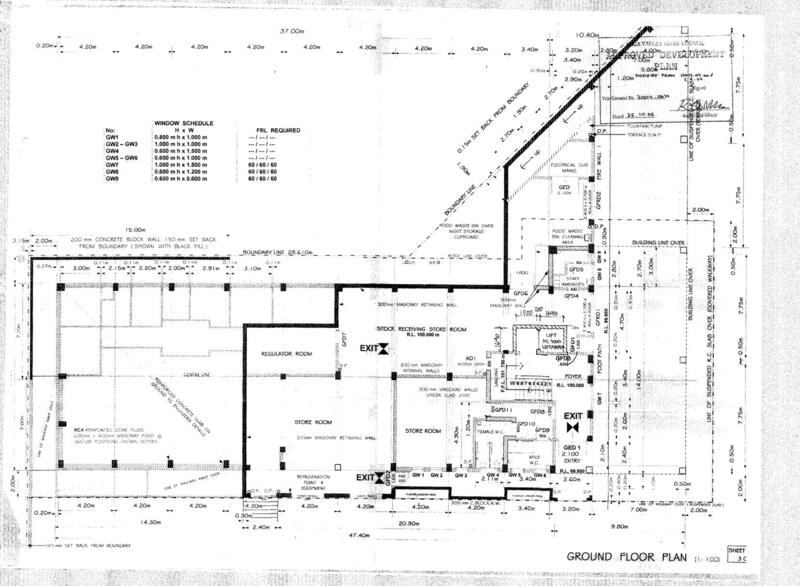 · Evidence of costing—that the project has been appropriately costed. The level and detail of the costing, and procurement processes, should be commensurate with the value of the project. Closing date for applications is 22 July, 2013. · Pambula Squash Courts ($400k-$450k -noting Council recommended change of design to moveable walls requiring modified design in line with sporting complex). The General Sports and Recreation Committee have currently received a number of community projects, however the committee have yet to asses these projects or recommend for Council approval and therefore are not considered “shovel ready” – a condition of the RLCIP criteria. Funding will be allocated among states and territories on a per capita basis. A base grant of $30,000 will apply for all eligible local governments with the remaining funding in each state or territory to be distributed in the same proportion as the General Purpose funding component of the local government Financial Assistance Grants (as determined by each state and territory local government grants commission). Applying the population and other criteria used in the initial RLCIP rounds, Bega Valley Shire Council is expected to receive $471,430. Some of the projects listed above may take up all that allocation. An upfront 50% allocation is expected upon execution of funding contracts. Staff will be involved in project, volunteer and contract management, noting the CIG funding is intended to generate employment and economic activity external to council operations. Council should nominate the projects it prefers for inclusion in application for the RLCIP grant of $471,430 to enable execution of contracts prior to the Federal election. Merimbula Wharf to Spencer Park walking trail. Stage 2 of project - Replacement of current tubular galvanised steel and timber stairs at Merimbula Wharf with recycled timber post and treads,, with galvanised steel panels to match new fence, and sympathetic with wharf and heritage settings with environment and heritage setting. Replacement of existing treated pine log / key retaining walk with rock walk stabilisation to Merimbula Lake foreshore Beach Street frontage. Social and Cultural Infrastructure - enhancement of main streets; Tourism Infrastructure. Access facilities - pontoons & disabled access infrastructure. Tourism Infrastructure. Social and Cultural Infrastructure - parks and gardens; Tourism Infrastructure. Social and Cultural Infrastructure - community centre; Children Youth and Seniors Facilities; Access Facilities. Refit of Bega Library to accommodate University of Wollongong element. Replacement of existing Tathra Beach access pedestrian steps from Dilkera Road to Andy Poole Drive. Current steps poor repair and non-compliant. Steps provide safe access to beach. Access facilities - disabled access infrastructure. Tourism Infrastructure. In accordance with Council’s Code of Meeting Practice (2011), this section of the agenda will be chaired by Councillor Mawhinney. Council has commenced a review of organisational policies, procedures and supporting documents. This report pertains to stage one of this process – policy review. Following the election of a new Council in September 2012 and the subsequent review of Council’s Community Strategic Plan (CSP),it is appropriate to review all organisational policy, procedures and supporting documents. This report pertains to the policy review stage. Subsequent stages will commence once the proposed new policy framework and content are adopted by Council, following consideration of community comments after public exhibition. Council’s policy framework has been completely reviewed to reflect the theme areas of the CSP; a Liveable Place, an Enterprising Place, a Sustainable Place, an Accessible Place, and a Leading Organisation. A copy of the revised policy framework is provided in attachment 1 – BVSC Policy Map. The content of each policy has been reviewed to reflect its scope and purpose as well as current legislative requirements that council must comply with. As part of the review process a centralised document control register will be established. This will facilitate document control, scheduling of future reviews, and quality record keeping. The review will provide a streamlined policy structure which clearly articulates Council’s positions on key issues relevant to Bega Valley Shire residents, visitors and businesses. The review process will also ensure that Council is adhering with all relevant legislative requirements. As part of the review a total of 17 policies were identified as redundant and will be recommended for revocation. The new structure proposes a total of 56 reviewed or new policies for adoption. This figure is based on policies that were reviewed and maintained (34) and new policies (22). A complete overview of the mapping of policies is provided in attachment 7 – ‘Summary of recommendations to Council’. · Content of the “revoked” policies will be incorporated as procedures sitting beneath the newly proposed policy structure. · The “review” of a policy only consisted of minor changes to content – thus not changing the direction and purpose of the policy. · A “new policy” includes any policy that was subject to a major review of content - thus changing the direction and purpose of the policy. During the mapping process gaps in policy were identified, new policies have been written to cover these gaps. The review and adoption of a streamlined policy structure will facilitate the consistent implementation of strategic plans across Council. Internal consultation was undertaken between managers, supervisors and staff to coordinate the initial review of policy. The review also involved consultation with Councillors by way of Council Workshop. The newly developed policy framework and draft policies will be placed on public exhibition resulting in a subsequent report being prepared for Council consideration at the expiry of this exhibition period. 1. That the ‘BVSC policy framework’ included in attachment 1 be placed on public exhibition and if no comment, subsequently adopted by Council. 2. That the suite of policies included in attachments 2-6 be placed on public exhibition for a period of 28 days. Council has received an invitation to join South East Australia Transport Strategy Inc (SEATS) group. The Executive Officer of SEATS has written to Bega Valley Council, at the request of its members, to invite Bega Valley Shire to join the SEATS group, to ensure there is an unbroken membership from the Illawarra region through to the outskirts of Melbourne and west to the Great Dividing Range region. Council withdrew its previous membership from SEATS in September 2006, focusing on its membership of Southern Councils Group and the Local Government and Shires Association “H Division”. Since then H Division has formed into SEROC, while Council has remained a member of SCG – the latter has been a vocal advocate and researcher into improvements to the Princes Highway, though initiatives such as PHocus. SEATS have stated that since 2008, due to its regional approach to advocacy for transport infrastructure, they have continued to include projects for the Bega Valley area in their work with Government at State and Federal level, such as the Bega bypass and Eden Port. SEATS has the support of 25 member Councils from Wollongong through to the City of Casey in Victoria and including Councils at Yass, Goulburn, Upper Lachlan, Tumut, Bombala, Cooma-Monaro, Snowy River and Palerang and Queanbeyan, along with a further 23 other members from government agencies in NSW and Victoria, private enterprise, other transport organisations and transport industry operators. RDA Far South Coast, RDA Southern Inland, RDA ACT and RDA Illawarra are all members of SEATS and have agreed that SEATS should be used as the advocacy partner for transport infrastructure projects that they support for the advancement of development and employment opportunities in their areas. The Southern Councils Group also uses SEATS for a similar purpose. Funding has recently been received from the Victorian Transport Department together with Transport for NSW to undertake a study on Cross Border Heavy Vehicle Freight issues. A further report has been commissioned to explore the issues raised in the original report. Transport for NSW and the RMS have also recently provided $200,000 to SEATS to undertake a study regarding an east-west link from the coast to the Hume Highway. Five of the member Councils have also contributed further funds to this undertaking. This study will be completed in October 2013. The research and strategic objectives of SEATS is consistent with Council’s submissions to the NSW Transport and Freight Plans, advocating for east-west corridors to the ACT/Hume Highway, and freight links to Eden Port. Council members of SEATS pay fees based upon population. In 2012/13 approximately $34,000 was expended from that allocation, primarily for membership of Southern Councils Group and participation in the Local Government Review Panel. A Councillor delegate would need to be appointed to attend SEATS meetings. Travel and accommodation expenses to attend the meetings would be met by Council from the Elected Officials Expenses allocation. SEATS lobbies on behalf of Councils to government and private organisations regarding issues around transport infrastructure needs in the South East region and have gained widespread recognition at state and federal level. Should Council choose to re-join SEATS, it should nominate a delegate, noting several meetings are held in the SCG region, often co-joining with SCG meetings dates to assist travel arrangements for members. 1. That Council consider re-joining South East Australian Transport Strategy Inc (SEATS). 2. That a Councillor delegate be appointed to represent Bega Valley Shire Council at SEATS meetings. The South East Australian Transport Strategy Inc (SEATS) aims to stimulate and facilitate investment in transport infrastructure in south eastern New South Wales, eastern Victoria and the ACT Region. Members of SEATS include local government, regional development organizations, government agencies, regional industry and academics. The SEATS region is in a triangle to the east of a line linking the NSW City of Wollongong to the north, the Victorian City of Greater Dandenong to the south and the Cooma, Bombala, Tumut and Tumbarumba areas, the ACT and Yass, Goulburn and Crookwell to the west. SEATS membership currently covers some 24 local government areas in Victoria and NSW and also includes 3 Government Agencies and 20 other transport industry organizations such as the NRMA, AECOM, GHD, Bega Cheese, NatRoads, NSW ATA, and 2 individual members who are consultants on transport infrastructure issues. South Eastern Australia is rich in primary resources, has a skilled labour force and a wealth of natural assets. Inadequate transport infrastructure is impeding orderly development with hundreds of millions of dollars of identified investment being withheld from the region. Limited access is reducing the returns for existing businesses. Independent consultants report that key transport improvements could generate many millions of dollars worth of new investment. SEATS members have developed the South East Australian Transport Strategy. The Strategy is a comprehensive review of the measures necessary to improve transport and access to Gippsland, Western Port, the Snowy Mountains, Yass Valley, Goulburn and Crookwell areas, the Illawarra region, the south coast of New South Wales and the Australian Capital Territory region. AECOM: ATA NSW; Bass Coast Shire; Baw Baw Shire; Bega Cheese; Bombala Shire; Canberra Airport; City of Casey; Cooma-Monaro Shire; Dyers Gippsland Transport; East Gippsland Shire; Eurobodalla Shire; Far South Coast RDA Committee; Goulburn-Mulwaree Council; Grendas Transit Management; Latrobe City; GHD-Morwell; Gippsland Campus, Monash University; Kiama Council; Murray Goulburn Co-operative Ltd; NatRoads Ltd; NRMA; Port Kembla Port Corporation; Port of Hastings Development Authority;RDA – ACT Committee; RDA Far South Coast; RDA Southern Inland; RDA Illawarra: Roads - ACT; Softwoods Working Group; Southern Councils Group (NSW) ; NSW Roads and Maritime Services Authority; Palerang Council; Queanbeyan City; Shellharbour City Council; Shoalhaven City; Snowy River Shire; Softwoods Working Group; South East Truck Safety Committee; South Gippsland Shire; Tumbarumba Shire Council; Tumut Shire; Upper Lachlan Shire; VicRoads; VicTrack; Yass Valley Council; Wellington Shire; Wollongong City Council. What are the aims and Objectives of SEATS? ECONOMIC COMPETITIVENESS by managing congestion and known road blocks in order to improve access to jobs, ports (both sea and air) and key locations of economic activity. A key goal is to reduce the cost of doing business in the region. ENVIRONMENTAL PROTECTION by providing sustainable transport systems and networks aimed at meeting existing and future needs whilst minimising the impact on the environment from land take, greenhouse gas and noise emissions. ENHANCED LIVABILITY by improving people’s access to places of work, education, recreation and public health services with a safe and user friendly network. GOVERNANCE by ensuring that decisions on regional infrastructure investments on transport are well informed, with improved integration of transport planning, evaluation and assessment. Decisions to comply with federal and state audit frameworks as required. SEATS will advocate to all levels of government, the following projects which cover National, State and Local transport infrastructure needs. They are not listed in any particular priority order. Developing this strategy has been predicated on the premise that all projects prioritised by SEATS must meet, to varying degrees, the criteria established by Federal and State funding agencies particularly Infrastructure Australia. The region, which is growing rapidly, deserves the most efficient level of infrastructure that can be provided. Growth pressures are occurring naturally and SEATS aims to stimulate investment in transport infrastructure to meet the needs of this growth. SEATS seeks to ensure that all levels of government cooperate to provide for employment growth, and the economic and social viability of the region. SEATS members meet four times each year with two meetings in NSW (May and November) and two in Victoria (February and August). Meetings are held on the third Thursday and Friday of those months unless otherwise determined by the Executive. The Annual General Meeting is held each August in Victoria as SEATS is incorporated in Victoria. The meetings commence at 1pm on the Thursday, there is a Dinner on the Thursday evening and the meeting continues on the Friday usually finishing at about 12 noon. Delegates are expected to make their own accommodation and travel arrangements with the meeting host organisation providing the meeting venue, lunches and morning and afternoon teas and the meeting Dinner. The meetings consist of a Business meeting and there are usually three presentations on the Friday morning from specially invited professional experts. A Business Paper is prepared and is circulated about 7 working days prior to the meeting. The Business paper contains the Agenda, the Executive Officer’s Report, the Treasurer’s Report, a Correspondence Report and Reports from the RMS (previously called the RTA) and from VicRoads. Delegates are given ample opportunity to discuss issues and are able to give a verbal report on matters they wish to inform other delegates about. In the last eighteen months or so, guest speakers and presenters at our meetings have included the Deputy Premier of Victoria, Peter Ryan, the NSW Transport Minister, Gladys Berejiklian, the Chief Executive of RMS and VicRoads, former Victorian Roads Minister Tim Pallas and Darren Chester MP, the Federal Shadow Roads Secretary and a number of other senior officials of NSW Transport and the Department of Transport Victoria. It is not imperative that members attend every meeting. There are many reasons why this may be so such as clashes with other engagements and budgetary constraints. MAY: 16 and 17 May 2013 hosted by Eurobodalla Shire Council at Batehaven, New South Wales. The Executive Officer regularly updates member organisation delegates on a weekly basis on matters pertaining to SEATS work. The SEATS website www.seats.org.au is also regularly updated and has the power point presentations given at quarterly meetings on the site. It also has documents such as the SEATS Strategic Network document which was completely revised in late 2012 and policies such as the SEATS Election Policy documents for use when talking with local, state and federal politicians. This document is currently being edited and will be on the SEATS website in the next month. A Quarterly Newsletter is also prepared and sent to all member organisations and to all politicians at federal and state level as well as all the relevant state and federal government agencies. The Newsletter is a four page, colour publication. Council members pay fees based upon population. As from 1 July 2013, for a Council with a population over 40,000 that fee is $5,923 including GST. A Council of less than 20,000 is $1,407; 20,000 – 30,000 is $2,2,814 and 30,000 – 40,000 is $4,4,222 and Government Agencies are $1,383with private organisations and the private sector paying $660. The fee is due in July each year with the SEATS Financial year being 1 July to 30 June. As from 1 July 2013, the Treasurership of SEATS will be East Gippsland shire Council and Invoices for membership fees will be raised by them and payable to them. “SEATS intends using the strategic network to provide a collective focus for its future planning. It is also intended as a planning and funding tool because it promotes projects that go beyond the confines of individual councils and benefit the region as a whole as well as the individual states. First and foremost is that SEATS membership gives a collective voice to all levels of Government that the South East region of Australia is working as one to achieve real advances in transport infrastructure needs. SEATS membership means that issues about transport infrastructure in the south east of Australia are not looked at in isolation but are viewed from a wider and perspective encompassing New South Wales, Victoria and the Australian Capital Territory. It gives our members confidence in advocating issues of local and regional interest to Government. It provides a united and co-operative front with the benefits of a wider diversity of input to the many issues of transport infrastructure which affect our region. Our organisation (SEATS) was recognized by the Federal Government at the 2004 Regional Roads Conference as being a significant group with a wide interstate role to play in advancing regional roads and other transport infrastructure issues. Industry benefits by being able to advise SEATS on issues of importance to industry such as “weight of loads “ issues, Use of highways and byways by B Doubles and a myriad of other matters of interest . There are still a number of issues to be raised and these are evolving every month. A united voice expressing views on transport issues in the south east of Australia is a much needed facility which will continue to improve and prosper as the issues become more intense and diversified. SEATS is the paramount organisation in making these cross border issues uppermost in the minds of all Governments. The Local Government’s NSW inaugural conference will be held from 1 – 3 October 2013. 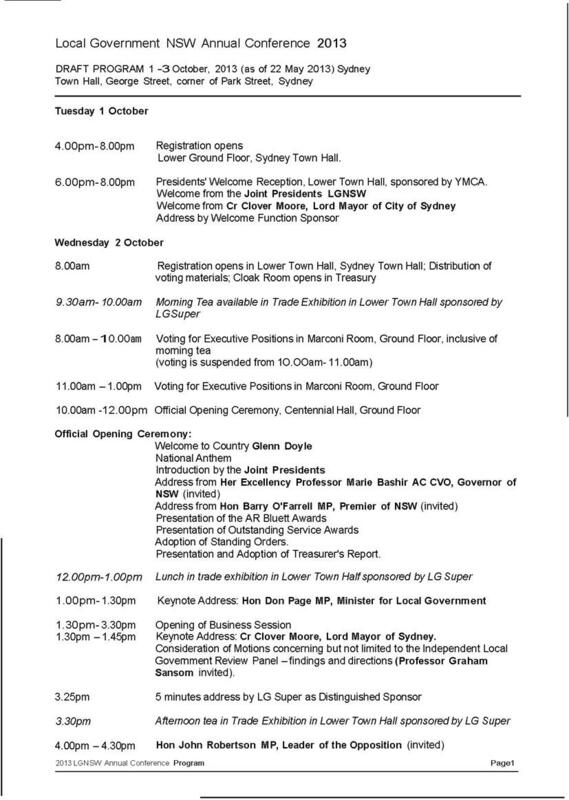 The Local Government’s NSW inaugural conference will be held at the Sydney Town from 1 – 3 October 2013. This conference replaces the conferences held by the former Local Government Association and the Shires Association. Time has been set aside for business sessions to discuss the various significant issues which affect the sector. The Association has called input from Council’s to guide the content of the business sessions. Councils have been requested to identify the most important 3- 5 issues which they believe are causing concern to the Council and/or the local community and provide these details to the Association prior to Friday 19 July 2013. The Association will review all responses received and then identify the top 3 - 5 issues as identified overall by member councils. These issues will then be put to the Conference for debate and deliberation as part of the business sessions. In addition to identifying an issue, Councils are encouraged to suggest an appropriate solution by including either a motion which could be considered by the Conference or notes which might guide delegates to an agreed position. Issues identified by Councils which fall outside of the top overall 3 - 5 will be considered by the Board prior to the Conference. Councils will be advised of the outcome of these deliberations also prior to the Conference. A copy of the Draft Program (as at 22 May 2013) is attached for information (attachment 1). Registration for attendance at the conference is now open. The General Manager, Mayor and Deputy Mayor and one other Councillor have represented Bega Valley Shire Council at the Assembly in the past. Councillors and senior staff have attended the Local Government and Shires Association Conference in past years. An amount of $67,000 has been allocated for Elected Official expenses for the 2013/14 year. This amount will need to cover expenses to attend conferences and meetings, Councillor Training and Development, IT facilities and expenses, and catering for Council meetings, workshops and other incidentals. Costs to attend the conference will include registration (early bird $880), accommodation (approximately $250 per night), meals and travel costs. It is estimated that this will be in the order of $2,000 per person attending. It is appropriate that Bega Valley Shire Council is represented at the Local Government NSW Conference and involved in the discussions. This Local Government conference has been listed in the Operational Plan for attendance by Councillors and the General Manager on an annual basis. 1. That Council endorse Crs (names to be inserted at the meeting) and the General Manager to attend the Local Government’s NSW inaugural conference to be held from 1 – 3 October 2013, with the necessary travel and accommodation costs to be defrayed by Council. 2. That Council identify the most important 3- 5 issues which they believe are causing concern to the Council and/or the local community for submission toe the Local Government NSW website.